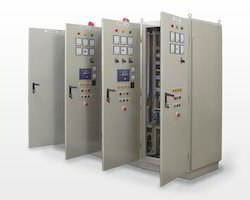 Pioneers in the industry, we offer federal pillar panel, power control center panel, automatic power factor control panel, auto mains failure control, bus ducts and sub switch board panel from India. The complete structure shall be rigid, self supporting free from twists and bends. The panels will be totally dust and vermin proof. They will have fixed or draw out type executions as many be desired. Power Control Center Panel will undergo pretreatment covering decreasing, water rinsing de-rusting/ phosphating. It will be synthetic enamel painted or powder coated as per requirements. Bus Bars Internal Wiring Uniform cross section copper Bus Bars (current density 1.39 amps/sq mm.) supported by SMC /DMC bases will be employed through out the length of the panel. Internal wiring be carried out with 11000/650 volt grade PVC insulated stranded conductor wire. All joints will be solidly crimped using copper thimbles Earthing Bus Bars will be running all along the board. Switch Gears/ Components Along with the formal offer, the GA drawing and the bill of material will be submitted specifying the makes capacities of all the material to be used in the panel. Standards Our Panels confirms to the standards such as, IS 4237; IS 8623; IS 375 Switch Gears/ Components Along with the formal offer, the GA drawing and the bill of material will be submitted specifying the makes capacities of all the material to be used in the panel. Automatic Power Factor Control Panel or Automatic Power Factor Control Panels are mainly used for the improvement of Power Factor. Power Factor can be explained as ratio of active power to apparent power and it is a key factor in measuring electrical consumption. Everyone knows that how costly electricity has become in present time. Therefore it becomes utmost important to cut down on electrical consumption for reducing expenditure. Automatic Power Factor Control Panel come real handy in the achievement of this purpose Use of these control panels becomes indispensable in those industries where electrical installations are meant to supply to large electrical load. A dip in Power Factor can attract operational losses and a penalty from electricity board, responsible for electricity supply. 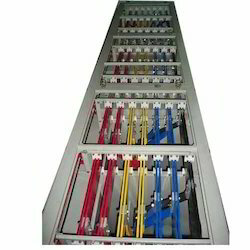 We offer vide range of standard and customized APFC panels and are competitive in the industry. Automatic Power Factor Control Panel can effectively and automatically manage quickly changing and scattered loads along with the retention of high Power Factor. We are renowned manufacturers of APFC Panels symbolized with quality and reliability. These are available in different current ratings to cater to distinct applications. 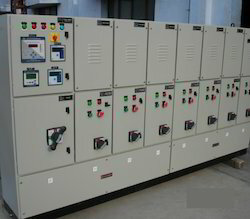 We are also specialized in manufacturing Auto Mains Failure Control panels which are used widely in foundries, apartments, textiles and other varied industries. Our panel comes with various functions and timers which help in the efficient running of the AMF panels. It also consists of the metering facilities for monitoring of the frequency/current/voltage. We can also customize it according to the client specifications and details. We offer automatic mains failure panels or automatic AMF panels, that are installed for automatic changeover from mains to stand-by generator at the time of power failure. Fabricated from premium quality raw material, these automatic AMF panels are durable, corrosion resistant, dust and vermin proof. Easy to operate and install, these synchronized AMF panels are used in areas like foundries, apartments, textiles, sugar and chemical industries. Our range of Auto Mains Failure Control panel includes automatic changeover with current limit, battery charger, power inverters, automatic changeover and sine wave inverters. 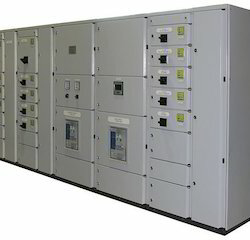 AMF Panel Battery Chargers are used where the generators are installed between main AC and load. It will Start and Stop the Generator automatically and Changeover the EB/Generator lines. 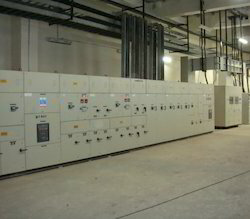 15Kva, 25Kva, 40Kva, 60Kva, 80Kva, 100Kva, upto 600Kva and more. All comes in a 14 /16 Swg panel with door. Safvolt offer best quality Bus Ducts that can be customized as per the customer’s requirements. All these products are specially designed for different industrial applications are designed to provide better connection, superior performance and more security. We have a fully equipped facility with the latest and most sophisticated machines. These Ducts also go through stringent quality checks at all levels. These products can also be customized as per client’s requirements. Bus Duct with required rating, Fault Level. Designing of Bus Duct to achieve required Fault Level, considering temp. Rise, Thermal Rating, Stress, withstand capacity and all applicable derating factors. Bus Duct up to 4000A With Copper/Aluminum Busbar. Busbar Supported on DMC/SMC Support. Busbar with Heat Shrinkable Sleeve. Indoor/Out door Duty, Separate adapter at both end With Space heater and earth Bus. We assign someone other than the assembler to test each joint after assembly – because it’s easy to miss something. Testing should include visual checks, torque checks (except for Belleville washers), and resistance measurements. Belleville washers are usually at the correct torque, if tightened just until they look flat. After joints pass the testing, we protect them with insulating boots. These should encapsulate the entire array of bolt heads and nuts, since bolts often come very close to other bolts in opposite phases or to the bus duct case. As a final test, we energize the bus with no load. Wait an hour or so, and then give it an infrared scan. Bus shouldn’t have any hot spots – if we come across, we will replace/repair them and scan again. Once we complete this step, we will to put the bus into service. This testing gives a life of trouble-free operation. Safvolt manufactures Raising Mains with the following unique features and markets in India as well as other Countries. The Load Bank system is engineered to provide the unrivaled flexibility and build simplicity needed in order to produce a wide range of power distribution solutions. 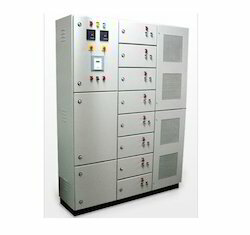 It consists of busbars of 250A, 400A and 800A with three different of 6, 12 or 18 outgoing ways. This range houses the incoming and outgoing devices in separate adjoining enclosures which then allows the widest range of possible circuit permutations, including over sized outgoing circuits, which can then be accommodated within a common format. 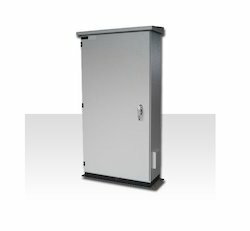 The Load Bank offers an uncomplicated solution for power distribution for commercial and industrial applications with the availability of add-on enclosures such as metering enclosures and service centers which match the dimensional profile of the panel board. 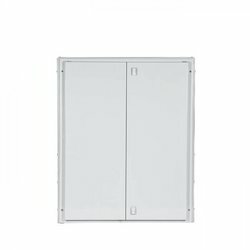 Looking for LT Panel ?